Last week, a Trudeau government advisory council released a report outlining “the foundational” elements for a national pharmacare program, which may be mentioned in next week’s federal budget. The problem, however, is that these anointed architects of national pharmacare don’t seem to know exactly what they’re supposed to build. To be fair, the lack of clarity in the report is, in some ways, an exercise in restraint. Importantly, in a clear departure from last year’s report from the Standing Committee on Health—and NDP demands—it leaves room for other program models beyond the single-payer approach. This is good news. To understand why, we need to clearly understand the problem. Recent reports suggest some Canadians struggle to pay for medications. For example, a 2015 survey found that about 23 per cent of Canadians (or someone in their household) did not take their medications as prescribed due to cost. A 2016 study estimated that 8.2 per cent of Canadians who required prescriptions in 2016 had difficulty paying for them. Therefore, the question should be—how can we help these specific Canadians? According to last week’s latest report, however, the Trudeau government has something much more ambitious—but not necessarily efficient—in mind. It calls for the creation of a national drug agency “to manage and oversee national pharmacare.” Yet it’s unclear why this agency, which, among other tasks, would assess health technologies and negotiate drug prices with manufacturers, is necessary. Why is this unclear? Because several agencies including the little-known pan-Canadian Pharmaceutical Alliance and the Patented Medicine Prices Review Board already do this work. And incidentally, research indicates these organizations actually limit access to new drugs, especially expensive ones, in Canada. Their amalgamation into one large agency may further limit the ability of Canadians to access potentially life-changing (or lifesaving) drugs. Bigger isn’t always better. 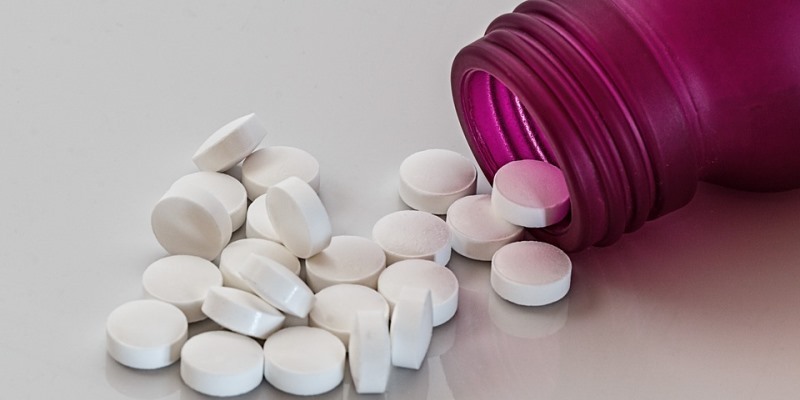 The report also calls for the creation of a national formulary—essentially a list of preferred drugs—with "evidence-based" value according to government. It's unclear whether this will mean a basic formulary of a few hundred "essential" drugs or something much greater, but it’s extremely unlikely to match the comprehensive lists of drugs covered by private insurance plans. Moreover, the government’s current “evidence-based” approach of assessing the value of drugs does not work for expensive drugs for rare disorders (a fact partially acknowledged in the report). So while there may be evidence that vulnerable groups of Canadians should have access to a formulary of essential medications with low (or no) co-payments (which is already the case in many provinces), the need to establish such a list for all Canadians—including the vast majority who can afford their prescriptions (either individually or through private insurers)—is less clear. Finally, the report recommends creating a data system to keep track of drugs. There may be some merit to such a system, as much time and effort is spent trying to evaluate the value of drugs before they are widely marketed. But insufficient effort is spent evaluating whether the drugs work as intended and improve patient health outcomes. Unfortunately, the federal government’s track record of creating reliable and accurate data systems is not good (see the disastrous Phoenix pay system for federal employees). Given the lack of detail, it’s unclear whether last week’s report will make matters worse or, at best, end up a wastefully expensive exercise that yields little benefit for patients. What’s clear, however, is that the report’s proposals are likely unnecessary. In fact, the only real takeaway is that there’s general agreement in Ottawa that bigger bureaucracies are better and that the federal government is somehow competent enough to tell provinces how to design pharmacare plans for their residents. On the bright side, if the report is any indicator, the Liberals may be taking a more cautious approach to national pharmacare, an issue many observers believe will be central to their election campaign this fall. Clearly, members of the government’s advisory council are aware of the Canadians who truly need help paying for medications. Hopefully, their final report scheduled for release in May will focus on low-income patients and patients who desperately need (sometimes expensive) new drugs to ease their suffering and extend their lives, rather than proposing a colossal bureaucracy to use scarce health-care dollars to subsidize everyone—including Canadians who don't need subsidies.